Senate President, Bukola Saraki Tuesday night said that the National Assembly was ready to receive President Muhammadu Buhari whenever he is ready to present the 2018 Appropriation Bill. 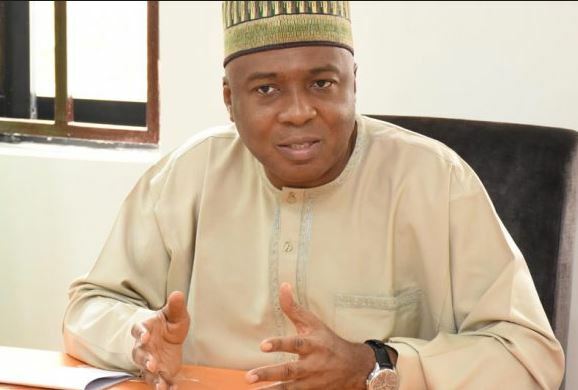 Saraki spoke with State House correspondents after the dinner the leadership of the National Assembly had with the Presidency at the Banquet Hall of the Presidential Villa, Abuja. He said the meeting was to welcome President Buhari from medical vacation. Though he said it was an interactive session with President Buhari, Saraki, said, “Mr President invited us for dinner; as you know since he came back we have not had the opportunity to meet with him. “He has met with different stakeholders, this is the first meeting since returning to the country with the leadership of the National Assembly. So the meeting is to welcome him and we are all grateful that he has come back and we are happy and we assured him that we will continue to cooperate with the executive and also to acknowledge the role we played while he was away.